Get Five Spins a Day to Win a Book of Your Choosing! 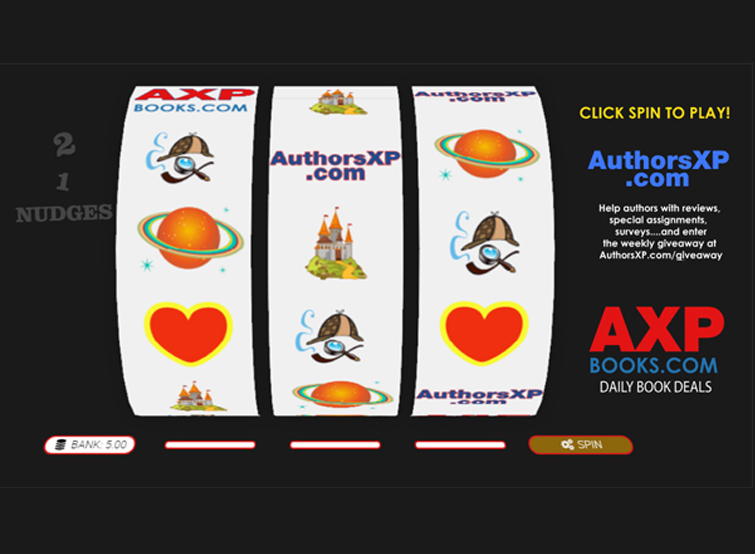 By entering AXP's Free Book Slots your email will be shared with the authors whose books you choose to win and AuthorsXP.com to be added to their newsletters. You may unsubscribe any time.